A California man who was beaten by numerous San Bernardino County sheriff's deputies after a three-hour pursuit in April has been charged with 14 counts. Last month, Francis Pusok received a $650,000 settlement for the beating that was caught on camera. Pusok, 30, was charged by the San Bernardino County district attorney with grand theft of livestock, animal cruelty, evading a police officer, and reckless driving, among other counts, according to the criminal complaint cited by the Los Angeles Times. Pusok led the San Bernardino deputies on a three hour car, foot, and horse chase through the desert on April 9. 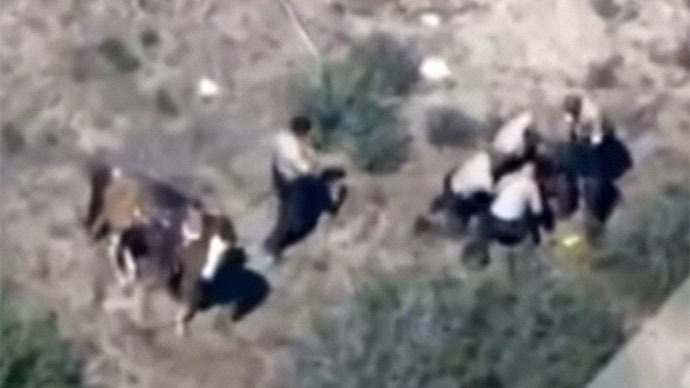 The final moments of the chase were caught by a news crew in a helicopter, and showed eleven deputies kicking, punching and hitting Pusok with batons as the suspect was lying face down with his hands behind his back. “We are disappointed, but yet sadly not surprised,” the attorneys said, noting that none of the ten deputies involved in the beating face criminal allegations. 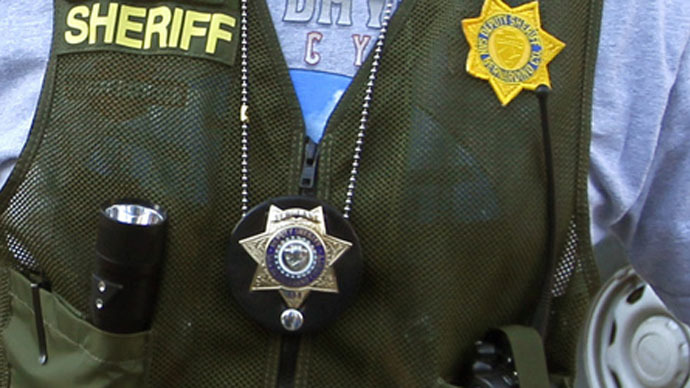 The deputies are on paid administrative leave pending a criminal investigation by the district attorney's office and the San Bernardino County sheriff's department. The FBI is also investigating for any civil rights violations. The officers are Sgt. James Evans and deputies Nicholas Downey, Scott Hamilton, David Moore, Dominic Moody, William Doemner, Michael Phelps, Raymond Perez, Tyler McGee, and Charles Foster, the LA Times reported. In April, the San Bernardino County Board approved the settlement that, it said, was not meant as an admission of guilt. Calling the decision a “fair outcome for everyone involved, including taxpayers,” board Chairman James Ramos said the settlement’s sole purpose was to “avoid the costs involved in litigation."